This vertical cartoner is specially designed for carton packed products, like candies, gums, coffee, medicines, etc. It is mainly includes carton picking and forming part, main drive part, small robot loading part and fold-inserting part. Most part of the machine is made of aluminum alloy, food grade PU timing belt, PC safe guard, which matches GMP requirement. It is controlled by PLC and servo system. 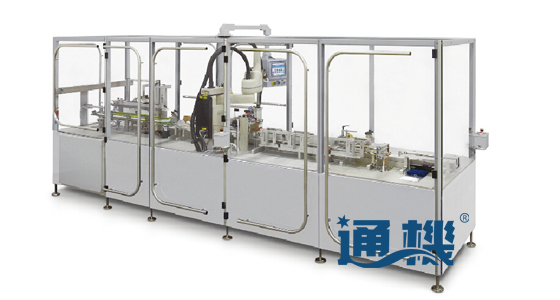 Intermittent action makes it stable and efficient; advanced small robot device grabs products and put into the cartons. There are detecting system for products and cartons, as well as rejecting devices ensures proper packing. Max speed can reach 30 bmp. This machine can be used both in a line or separately.